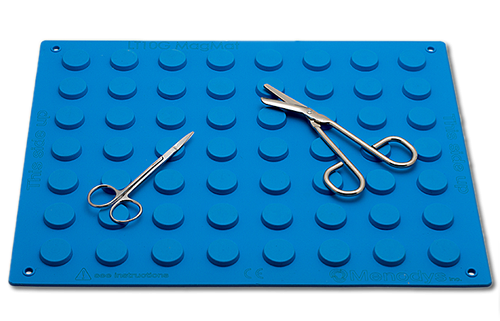 Longueuil, Quebec, Canada – MENODYS announces that the LT10G Surgical Magnetic Mat was awarded a Grant status from the Canadian Intellectual Property Office on October 16, 2018 (Patent 2,803,194 Magnetic Drape Reducing Magnetic Interferences eg. in surgical applications). The LT10G was the first medical technology developed and commercialized by MENODYS. Co-invented by Dr LP Fortier and Dr. V. Zaphiratos of the anaesthesiology department of the Maisonneuve-Rosemont Hospital in Montreal, Quebec, Canada, the LT10G is an innovative surgical magnetic drape that reduces the risks of magnetic interferences for patients with implanted electronic devices going through a surgical procedure. Longueuil, Quebec, Canada – Pr. Sylvie Hébert of the School of Speech Pathology and Audiology of the Université de Montréal has published in JAMA Otolaryngology – Head & Neck Surgery the results of a new study from a research project comparing the patient centered Tinnitus Likeness Rating technology developed by MENODYS to the standard clinical forced-choice method used for the assessment of tinnitus Pitch and Loudness Matching used by audiology clinicians around the world. 31 patients with established diagnosis of tinnitus for at least 6 months were evaluated twice, each time with a different audiologist, , using 2 different methods of assessment of the tinnitus pitch and loudness matching. Visits were separated by 30 days. The research project’s main objective was to define if a new patient-centered Tinnitus Likeness Rating (TLR) approach can provide a greater test-retest 1-month reproducibility than the Standard Clinical forced-choice Method for tinnitus assessment. For the TLR, 26 of 31 participants had a least 1 concordant dominant frequency between the two visits versus only 7 of 31 participants with the Standard Clinical forced-choice Method. Loudness reliability followed the same pattern. In conclusion, superior test-retest concordance can be demonstrated at individual level using several dominant frequencies extracted from the patient-centered TLR technology of MENODYS and as such is a significant improvement for the study of personalized therapeutic interventions in Tinnitus. “This study and its publication is an important milestone for MENODYS in confirming the value of its Patient-centered Tinnitus Likeness Rating Technology as a new mean for audiology clinicians around the world to have access to a reliable test-retest technology for tinnitus assessment and evaluation of tinnitus symptom attenuation protocol benefits over time”, said Richard Côté, Executive Vice President of MENODYS. Tinnitus is an important and growing worldwide health issue in audiology affecting more than 360,000 Canadians, 30 million Americans and over 120 million Europeans. Longueuil, Quebec, Canada – MENODYS in collaboration with Pr. Sylvie Hébert of the School of Speech Pathology and Audiology at the University of Montreal announce the addition of new features to its Tinnitus Assessment Technology (TAT), an extension module to assess the Minimum Masking Level and an extension module to assess Residual Inhibition. “The addition of these 2 new features to the already available Pitch and Loudness features offers a complete all-in-one solution for the objective assessment of tinnitus”, said Richard Côté, Executive Vice President of MENODYS. “The Tinnitus Assessment Technology offers, to audiology clinicians around the world, a new mean to rapidly and objectively assess tinnitus, prescribe the best tinnitus symptoms attenuation protocol for their patients and finally follow up on the benefits of the symptoms attenuation protocol in reducing the effects of tinnitus over time ”, said Pr. Hébert. Tinnitus is an important and growing worldwide health issue in audiology affecting more than 30 million Americans and more than 120 million Europeans. Longueuil, Quebec, Canada – MENODYS is proud to announce that the Beta prototype of the Sterile Saline Slush Making Apparatus (SSSMA) was used for the 50th time in an operating procedure at the Sacré-Coeur Hospital Organ Collection Center in Montreal, Quebec, Canada. The SSSMA enables the automated production of large volumes of sterile saline slush needed for the preservation of human organs. Invented by Dr Pierre Marsolais, internal medicine specialist, intensivist and coordinator of the Organ Collection Center of the Sacré-Coeur Hospital of Montreal, this patent pending medical technology, developed jointly with MENODYS, has been designed as a module to automate the transformation of 1 litre bags (up to 9 liters at a time in the Beta prototype) of sterile saline into slush to be used in organ collection and transplant procedures. “ The fact that the SSSMA Beta prototype has been performing its objective of automating the production of large volume of sterile saline slush to be used in organ collection and transplant procedures for more than 16 months in a real-life setting proves that the technology design and conception is working as planned” said René Gosselin, President of MENODYS. “The benefits of having access to an automated technology for the production of large volumes a sterile saline slush has had a tremendous positive impact on the workload and planning of the Sacré-Coeur Hospital Organ Collection Centre staff” said Dr Pierre Marsolais. MENODYS is also announcing the signature with Univalor, the Office of Technology Transfer of the University of Montreal, of an exclusive worldwide technology licence agreement on the commercial rights to the SSSMA technology. The Sacré-Coeur Hospital of Montreal, Quebec, Canada is a supraregional hospital of Montreal affiliated to the university of Montreal. It offers general service care, specialized and ultraspecialized care, a teaching and research environment. Dr Pierre Marsolais founded the Organ Collection Centre in 2013. Longueuil, Quebec, Canada – Pr. Sylvie Hébert of the School of Speech Pathology and Audiology at the University of Montreal has completed the recruitment of a proof of concept named MENODYS-INNOV, a research project comparing an innovative technological approach for the objective assessment of tinnitus developed by MENODYS to the standard currently used method of psychoacoustic pitch and loudness measurement used by audiology clinicians around the world. 31 patients with established diagnosis of bilateral tinnitus for at least 6 months were evaluated twice (2 visits) separated by 30 days by 2 different audiologists using during each visit, 2 different methods of evaluation of the tinnitus pitch and loudness. The study objectives are as follow: 1) demonstrating the advantage of the MENODYS tinnitus evaluation method to objectively assess tinnitus in pitch and loudness; 2) demonstrating the advantage of the MENODYS tinnitus evaluation method in terms of time requirement (speed of the test) for the audiologist and the patient; 3) demonstrating the value of assessing high frequencies (above 8000 Hz) in tinnitus assessment procedures; 4) demonstrating the value of the MENODYS tinnitus evaluation method for its capacity to define the best tinnitus symptom attenuation protocol (better adjustment of hearing aids and sound generators); and 5) demonstrating the value of the MENODYS tinnitus evaluation method in terms of test-retest accuracy (a tool to follow–up patients over time on the benefits of tinnitus symptoms attenuation protocols). “This study was launched to demonstrate the importance for audiology professionals around the world, dealing with tinnitus patients, to have access to a rapid, objective, reproducible, and precise tinnitus assessment technology”, said Richard Côté, Executive Vice President of MENODYS. Tinnitus is an important and growing worldwide health issue in audiology affecting more than 360 000 Canadians, 30 million Americans and more than 120 million Europeans. Longueuil, Quebec, Canada – MENODYS announces that the results of the clinical validation of its tinnitus assessment technology (TAT) have been accepted for publication in the February 2017 edition of the journal “Frontiers in Neurology”. Invented by Pr. Sylvie Hébert and Mr. Philippe Fournier of the School of Speech Pathology and Audiology at the University of Montreal, the TAT offers audiology specialists around the world a rapid and innovative approach to objectively assess the frequency and amplitude of their patient’s tinnitus. Current clinical assessment of tinnitus relies mainly on self-report. Psychoacoustic assessment of tinnitus pitch and loudness are recommended but methods yield variable results. The published results report that a previously validated fixed laboratory-based method and a newly developed clinically-relevant portable prototype (MENODYS TAT) yield comparable results in the assessment of psychoacoustic tinnitus pitch and loudness. The clinical validation identified that despite differences in the devices’ physical presentations, likeness and loudness ratings were globally consistent between the two methods and, moreover, highly reproducible from one method to the other on the subjects tested. All in all, both methods yielded robust tinnitus data in less than 12 minutes, with the MENODYS TAT having the advantage of not being dependent of learning effects, being user-friendly, and being adaptable to the audiogram of each patient to further reduce testing time. “This publication confirms the successful transformation of a University-based concept into a commercially ready medical technology that will modify the way patients with tinnitus can precisely define the nature of their tinnitus in both frequency and loudness, in less than 12 minutes. The MENODYS TAT thus offers an innovative tool for audiology specialists to objectively define tinnitus and follow up regularly on the benefit of the prescribed tinnitus symptom attenuation protocol”, said Richard Côté, Executive Vice President of MENODYS. Tinnitus is an important health issue in audiology affecting more than 360 000 Canadians, 30 million Americans and more than 120 million Europeans. Longueuil, Quebec, Canada – MENODYS is proud to announce that the Beta Prototype of the Sterile Saline Slush Making Apparatus (SSSMA) enabled for the first time, in an operating procedure at the Sacré-Coeur Hospital Organ Collection Center in Montreal, Quebec, Canada, the automated production of large volumes of sterile saline slush for the preservation of human organs. Invented by Dr Pierre Marsolais, internal medicine specialist, intensivist and coordinator of the Organ Collection Center of the Sacré-Coeur Hospital of Montreal, this patent pending medical technology developed jointly with MENODYS accomplished its purpose in answering an important unmet need in organ collection and transplant procedures, the preparation of large volumes of sterile saline slush. “ We are extremely pleased with the first results obtained with the SSSMA Beta Prototype particularly in regards to the quality of the “slush” that was generated without the need of human intervention in its production. This innovative medical technology will clearly answer the needs of numerous hospitals around the world involved in organ collection and transplantation that are looking for solutions to optimize production of large volumes of sterile saline slush for human organ preservation procedures ” said Richard Côté, Executive Vice-President of MENODYS. Longueuil, Quebec, Canada – Zaphiratos et al. published an article in BioMedical Enginnering OnLine (BioMed Eng OnLine 2016 15:83) entitled: “Interference between surgical drapes and pacemakers: an observational study comparing commercially available devices and a new magnetic isolated drape”, the LT10G Surgical Magnetic Mat from MENODYS. The paper concludes that when the LT10G Surgical Magnetic Mat is used, it does not cause magnetic interference in all patients when placed over the pacemaker. In comparison, three of the four commercially available magnetic drapes tested in the observational study demonstrated magnetic interference on the patient’s pacemaker. “In an era where implantation of electronic devices is on the rise, surgeons, OR nurses, hospitals and patients should be aware of the potential magnetic interferences caused by surgical magnetic drapes. This study thus confirms that the LT10G offers an important safety benefit in comparison to other available magnetic drapes” commented Richard Côté, EVP of MENODYS. Longueuil, Quebec, Canada – MENODYS announces that it has been granted a patent for its LT10G Surgical Magnetic Mat technology by the USPTO on January 12, 2016 (Patent 9,232,976 Magnetic Interference Reducing Surgical Drape). The LT10G is the first medical technology developed and commercialized by MENODYS. Co-invented by Dr. L.-P. Fortier and Dr. V. Zaphiratos of the anaesthesiology department of the Maisonneuve-Rosemont Hospital in Montreal, Quebec, Canada, the LT10G is an innovative surgical magnetic drape that reduces the risks of magnetic interferences for patients with implanted electronic devices going through a surgical procedure. Longueuil, Quebec, Canada – MENODYS announces the filing of a provisional patent for its newest medical technology, the 4th technology in its pipeline, the sterile saline slush making apparatus. Invented by Dr Pierre Marsolais, internal medicine specialist, intensivist and coordinator of the organ collection center of the Sacré-Coeur of Montreal Hospital, this medical technology will answer an important unmet need in the preservation of organ for transplantation in allowing the automated production of large volumes of sterile saline slush. “ This fourth medical technology in our pipeline and third with the University of Montreal is confirming the acceleration of the development of MENODYS. Our business model clearly answers the needs of clinicians, like Dr Marsolais, who are looking for a specialized industry partner in the field of medical technologies to bring their ideas to the market” said René Gosselin, President of MENODYS.